Super B&B, clean, great views over the lake and castle. Very nice Proprietor JJ. Just missing a few details, soap, shampoo, tea & coffee in the room etc. Otherwise perfect. I would recommend this B&B. Host did not have a reservation even though I have confirmation printed out and made reservations months in advance. The host found us a room after about an hour. Very nice accommodations and very clean. Good breakfast. I would recommend for an out of the city stay. Arrived to find we had been re-booked elsewhere as they had made a mistake and overbooked. Later saw the email they had sent earlier in the day which had a different and almost certainly untrue explanation of why we would not be able to stay. Can only conclude the operator is unreliable. Lovely setting. Comfortable bed, room could have less furniture, felt a little crowded. Lovely host and great coffee!! Only downside was having to drive to local resturant for dinner, but again, what a location! Nice facilty and wonderful views. Rooms just need to become more visitor friendly. Rooms in need of some tea or coffee, water and glasses, bins and bathrooms could do with some soap and shampoo. Breakfast was nice and had very friendly hosts. Accueil sympathique et chaleureux, chambres spacieuses et confortables, petit déjeuner copieux, vue magnifique sur le lough Gill , séjour reposant , un seul regret : signalisation du B&B réduite, heureusement que les voisins sont très serviables. After the last ten days of visiting Ireland and staying only in BnBs, I think I can say that this is one of the best in Eire. The location is spectacular, with the local town of Dromahair being very good for food and Pubs. The owner of the BnB will assist in any way. The rooms and beds are great and the breakfast of a high standard. Very home like setting. Staff was also very accommodating to our needs. I had a wonderful two nights in Castle View. A beautiful and spacious home, wonderful food and the host JJ couldn't have been nicer or more helpful. A very genuine and caring host with delightful children! 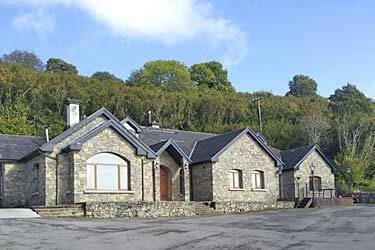 Wonderful home in a quiet setting with a superb view of Lough Gill. I was impressed. Breakfast was great. The owner's recommendations for nearby restaurants and a laundry in Sligo were very helpful. I will book there again the next time I'm in Ireland. Very relaxed place, JJ is great fellah and very helpful. Gem of a place.